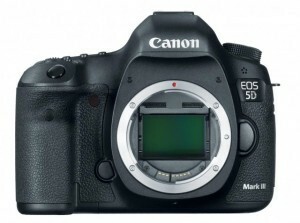 The Canon EOS 5D Mark III announcement was perhaps the most anticipated camera announcement in history. The original Canon EOS 5D DSLR was the first affordable full frame DSLR. It was a highly regarded and very successful model. The Canon EOS 5D Mark II, with its incredible 21.1 MP full frame sensor, launched to instant success. It continues to be a great value and sells very well even as I create the Canon EOS 5D Mark III review. The 5D II was announced about 3 years after the original 5D, and 3 years later, anticipation for a 5D III was running extremely high. It was another 6 months (more than three and a half years after the 5D II's arrival) and tons of "When will the 5D Mark III be announced?" emails later until the 5D III was finally announced. Immediately after the announcement, the bottled-up anticipation was quickly released in the form of preorders. Obviously, a LOT of people thought that the new model was right for them. And, amazingly, this camera began to hit dealer shelves in near record time (less than a month after the announcement) in reasonable volume. Let's review what we are getting in this new model - and I'll start with Canon's list of new and important features.